This fine drawing created by Hannah Megee is for Lux Harmonium's recent 7" single. The Bones You Break / Camel Bones came out a couple of weeks ago on the Static Caravan label. Hannah says " I decided to use the image of the donkey for two reasons; firstly, it was play on words as both songs have the word 'bones' in the title, so a little reference to the saying 'the straw that broke the donkey's back'. 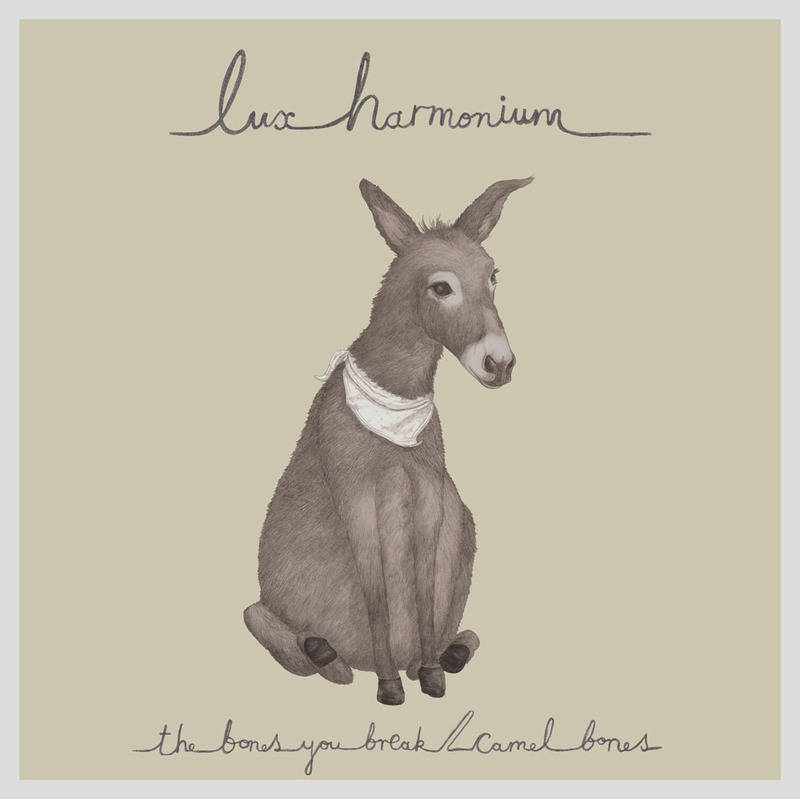 The second reason is that Luke Jones, the talent behind Lux Harmonium, often reminds me of a sad donkey." The image was produced in pencil and then lightly coloured in Photoshop.